HOT!!! 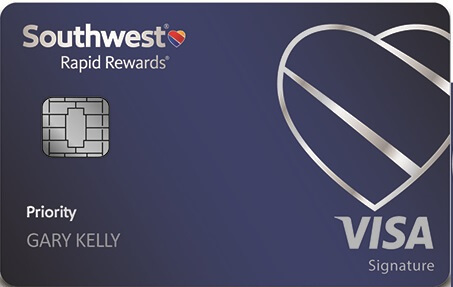 Continental Airlines World Business And Consumer Mastercards: Open Up Either One And Transfer The 20,000 Signup Miles To Get $2,000 In Hotel Stays Or 3 Round-Trip Tickets On ATA Or Southwest!!! Plus New Benefits For The Continental Business Card! 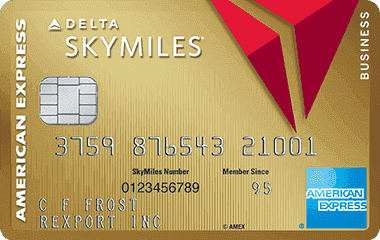 Update: There’s been some interesting discussion in the comments about whether you will be able cancel the card once you get the miles and have them prorate the annual fee, or if you will be able to switch this card into a no annual fee card and get the miles for free. The bottom line is that YMMV (Your mileage may vary) you might get a great rep who will help you out and you can wind up with this whole deal for free, or you might not. Is the deal hot? Yes, and it’s simple why. Even if you can’t get Chase to prorate or waive the $85 it is worth it because of the value of a mile. In essence you are buying 20,000 miles for $85, a cost of about 4/10ths of a penny per mile. -BusinessFirst ticket to Israel is about $5,000 for 100,000 miles= 5 cents per mile value. -3 systemwide RT Tickets on Southwest/ATA is about $1,000 for 20,000 miles=5 cents per mile value. -12 systemwide RT tickets on Southwest with a companion pass is worth at least $5,000 for 50,000 miles=10 cents per mile value. -5 nights of $400 hotel rooms is worth $2,000 at a cost of 20,000 miles=10 cents per mile. As you can see, buying miles for under half a cent each is a hot deal, and can be extremely hot if you make good use of the miles, or if you get the fee prorated or waived and pay nothing! 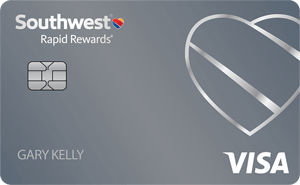 Transfer Amex/Amtrak/Continental/Starwood Into Choice Points And Southwest Credits Post! 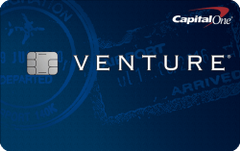 Chase bank offers 2 Continental Mastercards, a consumer and a business version. They both now offer 20,000 Continental mile upon signup. They can be applied for at the same time without any problem. Unfortunately both cards have $85 annual fees, which are not waved for the 1st year. But the value you can now get out of Continental miles far outweighs the fee for a year. -Use all of it for a short-haul domestic flight on Continental. -Transfer it into 100,000 Choice Privileges points, enough for 5 stays at normally $400/night Manhattan hotels. -3 Sytemwide Round-Trips on Southwest Or 3 Systemwide Round-Trips besides Hawaii on ATA. Chase has just upgraded the Continental Airlines Business Card to “World For Business” status. World Mastercards are the only US issued credit cards that offer free CDW insurance when renting a car in Israel. Both Continental cards have “World” status. 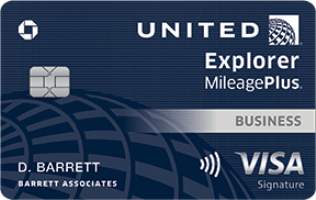 -Earn 5,000 more bonus miles once you spend $25,000 on the card. -Earn 2 miles per dollar spent on Continental tickets. -Earn 2 miles per dollar spent at restaurants, gas stations, and at office supplies stores! -Earn 1 mile per dollar spent elsewhere. 19 Comments On "HOT!!! Continental Airlines World Business And Consumer Mastercards: Open Up Either One And Transfer The 20,000 Signup Miles To Get $2,000 In Hotel Stays Or 3 Round-Trip Tickets On ATA Or Southwest!!! Plus New Benefits For The Continental Business Card!" I know, for example, that AMEX will prorate half the annual fee of a card if you cancel halfway through your billing year. Has anyone tried to get Chase to prorate an annual fee? 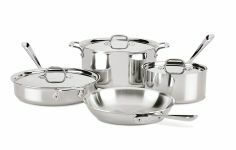 Honestly though, putting aside whether on not they’ll prorate it, it’s the surest and best $85 you can invest today! You’re right, there’s nothing hot about paying $85 to get $2,000 in hotel rooms or 3 plane tickets. just curious dan, which $400/night manhattan hotel can you get 5 nights at for 100k choice points? sometimes you can get the points, then change the kind of card it is, to one without an annual fee. any possibilty here? how do you transfer points from Continental to Choice? chase only lets you apply for credit once in 90 days. thsi is true with the busniess card. and with the regular card I belive its once in 60 days. Is there anywhere I can transfer 25000 us airways points? You left me out of your answering session post. Can you answer my question too? Thanks! Dan do you know of any car rental places IN ISRAEL that I can use milage to rent a car?